Initially one of the leading recording device and drone companies in China, Shenzhen AEE Technology CO. Ltd. is now making action cameras, building partnerships with several sports and media industry companies. 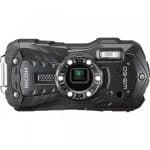 They have introduced their new action cameras, including their latest, the AEE S71 4K Sports Camera. As the name suggests, this is an action cam that can shoot videos in 4K, as well as take photos in 16MP. 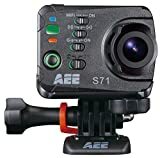 The AEE S71 4K Sports Camera offers a solid package that will not restrain you from good features, making itself comparable to the GoPro Hero 3 or 4. In fact, it is regarded by many as a possibly superior 4K action camera to others in its category, such as Panasonic’s HX-A500 and Sony’s X1000V, in some way. 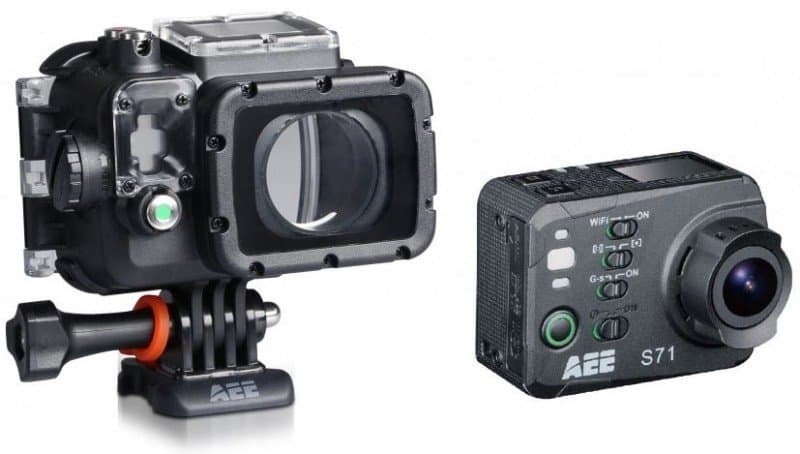 This camera from Shenzhen AEE Technology is designed with a waterproof housing and lots of mounting accessories that look quite similar to those of GoPro. It comes with different bases, waterproof housings for both LCD and no-LCD versions and adhesive pads for helmets and other surfaces. You can also remove the LCD screen from its back, making it even smaller and lighter, increasing its battery life. Using the AEE S71 without its LCD screen is not a problem, as it has both an iOS and Android app that you can use to view and control image over WiFi. There are also numerous switches and buttons for various functions on its front, so controlling it would be pretty easy and simple. Aside from its colorful 2-inch LCD screen, it also has a small black-and-white screen at its top, which you can use to display information, such as resolution, video mode, etc. As such, you can only use the color LCD for viewing videos and photos. 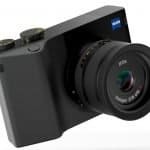 When it comes to videos, this AEE camera can shoot footage in 4K at either 12 or 15 fps and in 2.7K at 24 or 30 fps, as well as 1080p 60/48/30/24fps, 960p and 720p, where you can shoot videos in slow motion at 120fps. As for the photos, this camera would chose to show darker parts in more detail and highlight brighter parts, especially when shooting in places where contrast is obvious. 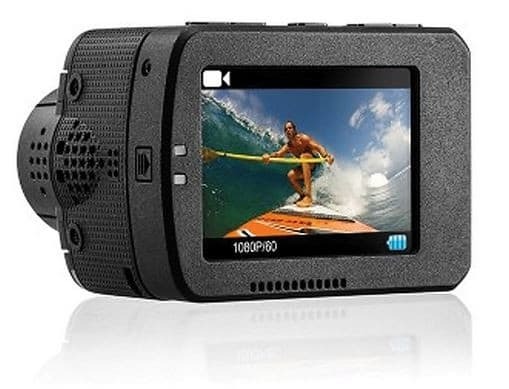 With its special waterproof case, the AEE S71 4K Sports Camera can be used down to 10 meters of water depth, but if you want to go deeper, there are also cases that you can get for this purpose. This new action cam can also withstand temperatures of up to -10 degrees Celsius. As for the battery, it uses a 1500mAh LiPo bat that can be charged through a USB cable and can last around 2 hours of video. As it offers a 16 megapixel 10 frames per second (fps) burst shooting capacity, the AEE S71 allows you to capture surprisingly fluid and wonderful sequences of fast-action photographs, which are perfect for sudden motions and stunt moves. On top of this, this camera offers 16 million pixels and a frame speed shooting capacity of 120, coming with videos in 720p HD, which means that it would be great to view and review your content on your 4K television. 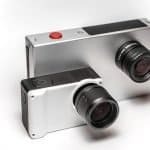 In terms of its 4K and HD video capture abilities, this action camera will be able to deliver ultra HD 4K at 3840 X 2160 pixels at a modest, but decent, 15 fps, Cinema 4K shooting at 4096 x 2160 pixels at 12 fps and 1080p full HD videos at 60 fps. As it is after all an action camera, it can be used down to a remarkable depth of 91 meters and can endure both extremes of cold and heat, ranging from -10 to 50 degrees Celsius. On the downside, it can be quite arduous to get your hands on the add-ons and accessories the AEE S71. Of course, you can order them from the manufacturer itself or from authorized sellers, but just walking into a camera store or shopping online on a disreputable site can be a problem, as this camera model is not as well known as the GoPros, which means that parts would be rare on the shelves. 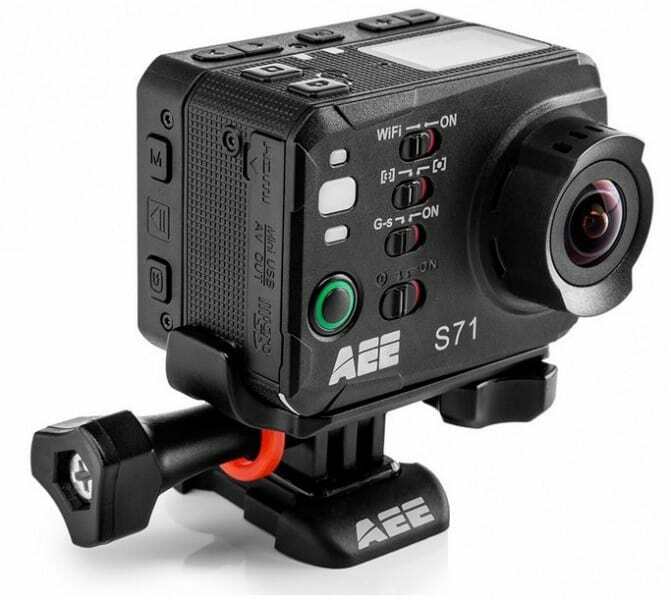 The AEE S71 4K Sports Camera is a great choice if you are looking for something other than GoPros. At just a reasonable price, it can give you the 4K features and output quality that you want for your content, though it might not be as easy-to-use as GoPro cams. So, it would boil down to what your preferences are and how you are planning to use it.